This extension makes your life easier when working with orders. You can see what products were purchased and customer comment right in orders list. 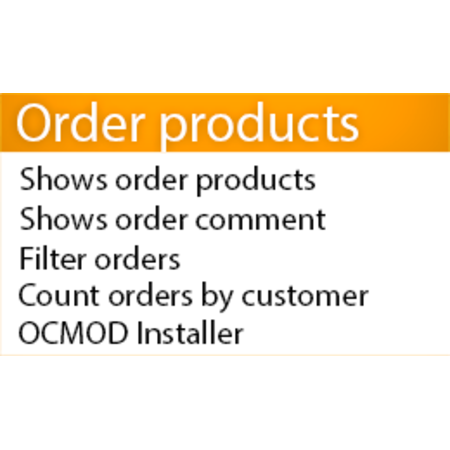 Also you can filter orders by product name and comment. When long comment or options block, they become scrollable. Customers can be filtered by telephone and email in order list now. And furthermore you can how many orders this telephone and email made before. Filter by customer, email, telephone can be done by clicking on their values.